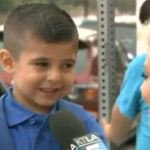 In Los Angeles, a TV reporter interviewed a 4-year-old boy on the way into his first day of pre-school. She asked if he would miss his mom. The little boy tries to put on his game face and bravely says no. For many children, preschool is the first experience on their own – away from mom or dad or another trusted caregiver. It’s not just a matter of being separated physically; it’s the idea of having to be independent – navigating the unknown without immediate comfort and support from those who have been at your side every day of your short life. The first day of preschool doesn’t have to involve tears. The overwhelming feelings behind the tears – smallness, helplessness, even abandonment – are counterproductive. 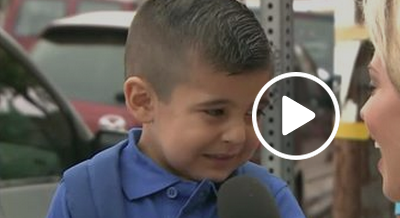 And what 4-year-old has the ability or vocabulary to put such big feelings into words? Here’s another way to think about it. If you throw a young child into the deep end of the pool, he or she will most likely manage to make it back to the edge. But that’s not a swimming lesson; it’s survival – and not certain to elicit a happy response the next time you suggest going to the pool. If the goal is to teach a child to swim, you might carry the youngster into shallower water, providing the chance to get comfortable with – even enjoy – the sensation of floating. Likewise, you want your child to love going to school and become increasingly independent; to get excited by mastering new skills and learning and new things. But before any of that can happen, he or she has to get comfortable being apart from you. That takes time, understanding and patience. At Hanna Perkins preschool, separation is the first thing we work on. We do it slowly and gently, taking as much time as necessary until your child feels ready to be on his or her own at school. We’ve been doing it this way for more than 60 years and know it provides a lifetime of benefits. Post script: The little boy’s mother was there to give him an off-camera hug.